Be Careful About the Words You Use to Describe Yourself. They Have a Funny Way of Coming True. Quit it! Right this second. The self-defeating language. The negativity. The whining and complaining. The excuses. Quit replaying the disparaging words over and over again like a Greatest Hits CD. Stop declaring yourself a loser before you even have a chance to win. Just. Stop. If you can’t stop on your own, get help. It’s that important. You are ordering your steps by your words. Is it any surprise then that what you are getting out of life is exactly what you are proclaiming? As a man thinketh, so is he! It all starts with how we think, and what we project. Many of us have been there. Many still go there from time to time. Frustrated. Hopeless. We have developed a bad habit of using disparaging words to refer to ourselves and our current place in life. And like most bad habits, it’s a tough one to break. We can’t see our way out. It’s our default button. I use to always announce “I am tired” because it seemed as if I never got enough rest. Or, I would say “I am not good at public speaking.” So guess what? I always felt tired and I wasn’t good at public speaking. What I put out there became a self-fulfilling prophecy. Think about it. There is a sort of bravery that is summoned when we choose to believe in our better selves, even against dismal scenarios or uncertainty, and when we start reinforcing that belief by the words that we speak (even if we don’t quite feel them yet); when we take a step towards our destiny, even if we can’t see the full pathway ahead. I finally stopped saying I was tired all the time. Tired people don’t get things done. 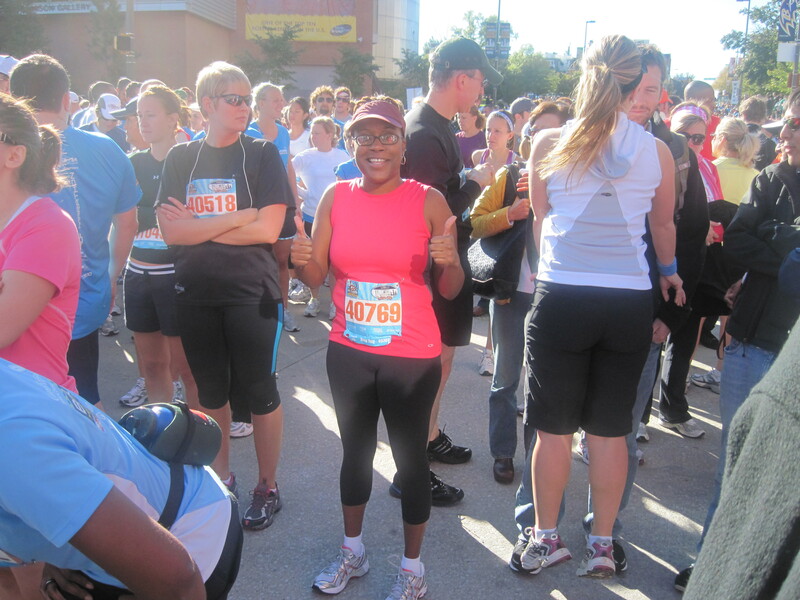 In 2011, for nine months, I trained five days a week for a bucket list item I was determined to accomplish. Later that year, I crossed the finish line of the New York Marathon — so proud of not just my physical accomplishment, but winning the mental battle as well. That’s the biggest battle of all. I am victorious. I am successful. I am smart. I am wondrously made. I am unique. I am prosperous. I have boundless energy. I am capable. I am enough. I am ready. And, so are you. Once you believe. What a great message to start the day with! I know I am guilty of this, and it’s real work to try and break the habit. I can’t recall who said it but I always try and remember to not put negative comments “into the universe”. Same as the self-fulfilling prophecy. And Dawn your bucket list item reminds me of my EPIC 150 mile bike ride last year. I never even considered whether I could or couldn’t do it. It was in honor of my late husband and when I saw the commercial for it my mind said “I’ve got this”. Once that decision was made I started learning how to do it through training, exercise and eating right. I look back and recall the power of a positive attitude. As they say “whether you think you can or think you can’t…you’re right”. So true, Lauri! I was in awe of you and that bike ride, and you are right, a positive attitude makes all the difference in the world. Thanks for reading and commenting. WOW! If you can’t heed to this AMAZING advice and WISDOM, you just DON’T WANT to change! What a message! I’ve come along way with this and have a way to go, but this gave me energy, gives me hope! Thanks Teeni! I think we all can be our own biggest critics, but it really is good to reign it in and to not believe the discouraging words the enemy tries to feed us. We are whoever we say we are.